The Biennale features a wide variety of lectures by invited speakers, discussions, panel debates, workshops, exhibition & awards, academic paper sessions, social events, and more. 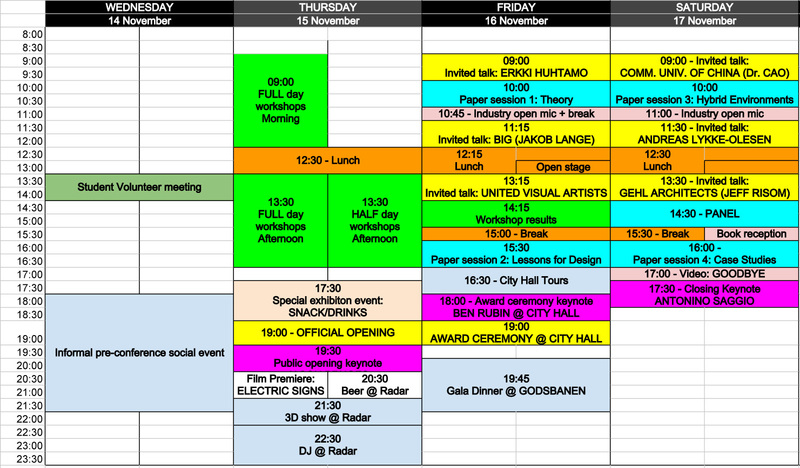 The final programme for the Media Architecture Biennale 2012 is available below. It all starts with an informal, social event on the evening of 14 November and ends with a closing keynote speak on 17 November. The main hub for MAB12 is "Godsbanen". Take a look at Venue & Travel to find the location. 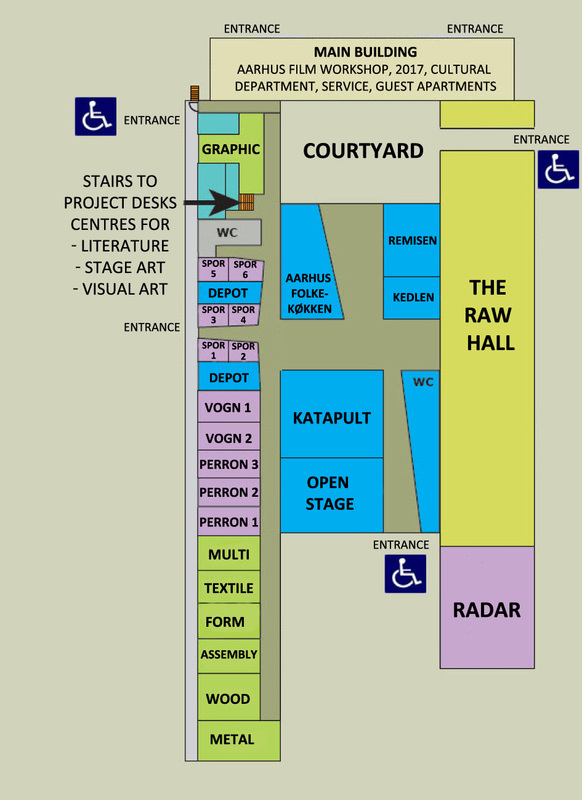 If you need help finding your way around at the venue itself, take a look at the map below. More programme details further down the page. Click here to download .pdf version of the detailed programme (web version below) including paper abstracts. Full day Workshops and Doctoral Consortium, part 1. Click on the respective pages for more information. All workshop participants meet at Godsbanen (main venue). 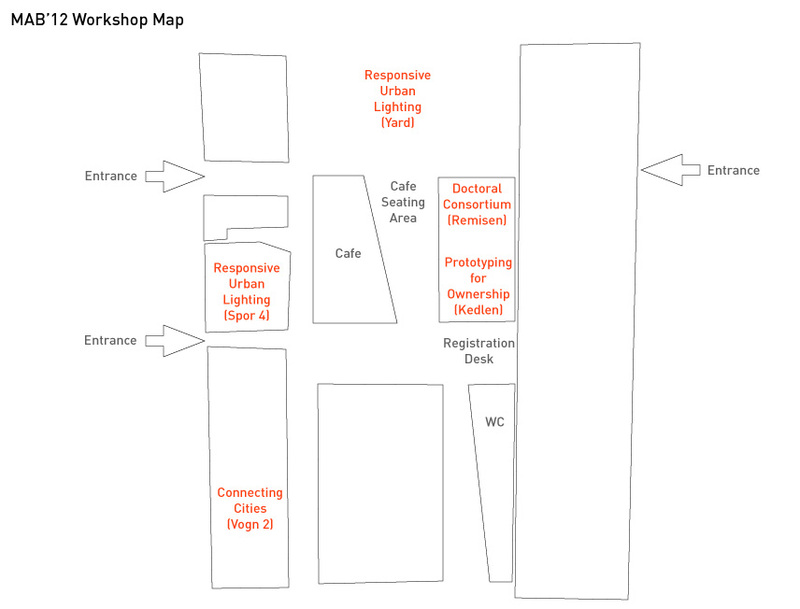 You get a workshop map when you register - it can also be downloaded here. You’ll get sandwiches at the workshop – for those at Godsbanen, they will be in the main exhibition area (café). Full day Workshops and Doctoral Consortium, part 2. Bus leaves for Martin Professional workshop from Godsbanen at 13.30 (sharp). Meeting point: Registration booth at Godsbanen. Special Exhibition Event w/ snacks & drinks. Hang out in the café/exhibition space at Godsbanen and get a drink while your gear up for the opening. Welcome address by Danish Minister of Culture, Uffe Elbæk, Mayor of Aarhus, Jacob Bundsgaard and Pro-Rector Søren E. Frandsen, Aarhus University. Public opening keynote by Jason Bruges (UK). Alice Arnold introduces her film in person in ”Remisen”. You may go to RADAR(concert venue inside Godsbanen) and use your free drink ticket instead. 3D concert with the artist Vectral @ RADAR at Godsbanen. DJs and drinks @ RADAR at Godsbanen. Or hang out in the café. Invited talk: Erkki Huhtamo (FIN/USA), Media Archaeologist. Invited talk: Jakob Lange, Bjarke Ingels Group (DK). Buffet in the main exhibition area at Godsbanen. Invited talk: Alexandros Tsolakis and David Bajt, United Visual Artists (UK). IMPORTANT: YOU MUST WALK TO CITY HALL IMMEDIATELY. Awards ceremony keynote: Ben Rubin (USA), Media Artist & Founder of EAR Studio. Invited talk: Sanxing Cao, Communication University of China. Invited talk: Andreas Lykke-Olesen, Kollision (DK). Sandwiches in the main exhibition area.  Invited talk: Jeff Risom, Gehl Architects (DK/USA). "New Media Facades - A global survey" by M. Hank Hausler, Martin Tomitsch and Gernot Tscherteu. Closing keynote: Antonino Saggio (IT), Professor of Architecture.